Marie-Ange Hawkins lay in the tall grass, beneath a huge, old tree, listening to the birds, and watching the puffy white clouds travel across the sky on a sunny August morning. She loved lying there, listening to the bees, smelling the flowers, and helping herself to an apple from the orchards. She lived in a safe, protected world, surrounded by people who loved her. And she particularly loved running free in the summer. She had lived at the Chateau de Marmouton for all of her eleven years, and roamed its woods and hills like a young doe, wading ankle deep in the little stream that ran through it. There were horses and cows, and a proper barnyard on the lower property at the old farmhouse. The men who worked the farm always smiled and waved when they saw her. She was a laughing, happy child, and a free spirit. And most of the time, as she wandered through the tall grass, or picked apples and peaches in the orchard, she was barefoot. “You look like a little gypsy!” her mother scolded her, but she always smiled when she said it. Francoise Hawkins adored both her children. Her son Robert had been born shortly after the war, eleven months after she married John Hawkins. John had started his business, exporting wine, at the same time, and within five years, he had made an immense amount of money. They had bought the Chateau de Marmouton when Marie-Ange was born, and she had grown up there. She went to the local school in the village, the same lycee that Robert had attended. And now, in a month, he was leaving for the Sorbonne, in Paris. He was going to study economics, and eventually work in his father’s business. The business had grown by leaps and bounds, and John himself was amazed at how successful it had become, and how comfortable they were as a result of it. Francoise was very proud of him. She always had been. Theirs was a remarkable and romantic story. In the last months of the war, as an American soldier, John had been parachuted into France, and broken a leg when he landed in a tree on Francoise’s parents’ small farm. She and her mother had been there alone, her father was in the Resistance, and had been out at one of the secret meetings he attended nearly every night. They had hidden John in the attic. Francoise had been sixteen then, and more than a little dazzled by John’s tall, midwestern good looks and charm. He was a farm boy himself and only four years older than she was. Her mother had kept a watchful eye on them, afraid that Francoise would fall in love with him and do something foolish. But John had been respectful of her, and as much in love eventually as Francoise was. She taught him French, and he taught her English, in their whispered conversations at night, in the pitch black of the attic. They had never dared to light so much as a candle, for fear that the Germans would see them. He had stayed with them for four months, and by the time he left, Francoise was heartbroken over his going. Her father and some of his friends from the Resistance had spirited him back to the Americans, and he had eventually taken part in the liberation of Paris. But he had promised Francoise he would come back for her, and she knew without a doubt that he would. Her parents were killed in the final days just before the liberation, and she was sent to Paris to live with cousins. She had no way of reaching John, his address had been lost in the chaos, and she had no idea he was in Paris. Long afterward, they learned that they had been within a mile or two of each other most of the time, as she lived just off the Boulevard Saint-Germain, and he never knew it. John was shipped back to the States before seeing her again, and returned to Iowa. He had his own family worries. His father had been killed in Guam, and he had to take care of his own family’s farm with his mother, sisters, and brothers. He wrote to Francoise as soon as he got back, but his letters were neither returned, nor answered. They never reached her. And it was a full two years before he had saved up enough money to go back to France, to see if he could find her. He had been obsessed with her since he left. And when he reached the farm where they had met, he found that it had been sold and was inhabited by strangers. And all the neighbors knew was that Francoise’s parents were dead and she had gone to Paris. He went there next, and used every resource he could think of to find her, the police, the Red Cross, the registry at the Sorbonne, as many local schools as he could visit. And on the day before he was to leave, sitting in a small cafe on the Left Bank, as though by a miracle, he saw her, walking slowly along the street in the rain, with her head down. At first, he thought it was a stranger who just looked like Francoise, but as he glanced at her more closely, and then ran after her, feeling foolish, but knowing he had to try one last time, she burst into tears the moment she saw him and threw her arms around him. They spent the evening together at her cousins’ home, and he left for the States the following morning. They corresponded for a year after that, and then he finally returned to Paris, to stay this time. She was nineteen, and he was twenty-three by then, and they were married two weeks after he got back to Paris. In the ensuing years, nineteen of them, they had never left each other for a moment. They left Paris after Robert was born, and John eventually said he felt more at home in France than he ever had living in Iowa with his parents. It was meant to be, they always said, as they smiled at each other whenever they told their story. Marie-Ange had heard the tale a thousand times, and people always said it was very romantic. Marie-Ange had never met her father’s relatives. His parents had died before she was born, and both his brothers. A sister had died a few years before, and his other sister was killed in an accident when Marie-Ange was a baby. His only surviving relative was an aunt on his father’s side, but Marie-Ange could tell from the way her father talked about her that he didn’t like her. None of his relatives had ever come to France, and he had said more than once that they thought he was crazy when he moved to Paris to be with her mother. Francoise’s cousins had died in an accident when Marie-Ange was three, she had no grandparents, and her mother had no brothers or sisters. The only family Marie-Ange had were her brother Robert, and her parents, and a great-aunt somewhere in Iowa, whom her father hated. He had explained to Marie-Ange once that she was “mean-spirited and small-minded,” whatever that meant. They no longer even corresponded. But Marie-Ange felt no lack of family. Her life was full, and the people in it treated her like a blessing and a joy, and even her name said she was an angel. Everyone thought of her that way, even her brother Robert, who loved to tease her. She was going to miss him when he went away, but Francoise had already promised Marie-Ange that she would take her to Paris to see him often. John had business there, and he and Francoise loved going to Paris for a night or two away. Usually when they did, they left Marie-Ange with Sophie, the elderly housekeeper who had been with them since Robert was a baby. She had come to the chateau with them, and lived in a little house on the property. Marie-Ange loved to visit her, and sip tea and eat the cookies that Sophie baked for her. Marie-Ange’s life was perfect in every way. She had the kind of childhood that most people dreamed of. Freedom, love, security, and she lived in a beautiful old chateau, like a little princess. And when her mother dressed her in the pretty dresses she bought in Paris for her, she even looked like one. Or so her father told her. Though when she ran barefoot through the fields, in the dresses and smocks she tore while climbing trees, he loved to say that she looked like an orphan. “So, little one, what mischief are you up to today?” her brother asked when he came to find her for lunch. Sophie had gotten too old to chase after her, and their mother had sent Robert to find her, as he often did. He knew all her favorite haunts and hiding places. “Nothing.” She had peaches smeared all over her face, and her pockets were full of peach pits as she smiled at him. He was tall and handsome and blond, like their father, as was Marie-Ange. She had blond curls, and blue eyes, and the face of an angel. Only Francoise had dark hair and big velvety brown eyes, and her husband often said that he wished they had another child, who looked just like her. But there was a lot of Francoise’s sense of mischief and fun in Marie-Ange’s spirit. “Maman says it’s time for you to come in for lunch,” Robert said, shepherding her like a young colt. He didn’t want to admit it to her, but he knew how much he would miss her when he went to Paris. Ever since she could walk, she had been his shadow. “I’m not hungry,” the child said, grinning at him. “So is lunch. Come on, Papa will be home any minute. You have to come and wash your face, and put some shoes on.” He took her by the hand, and she followed him back to the house, teasing and playing, and running around him like a puppy. And when her mother saw her, she groaned at what the child looked like. “Marie-Ange,” she said to her in French. Only John spoke to Marie-Ange in English, and she was surprisingly proficient, although she had an accent. “That was a new dress you put on this morning. It’s in shreds now.” Francoise rolled her eyes, but she never looked angry. Most of the time, she was amused by her daughter’s antics. “No, Maman, it’s just the pinafore that’s torn. The dress is still all right,” Marie-Ange reassured her with a sheepish grin. “Thank Heaven for small favors. Now go and wash your face and hands, and put shoes on. 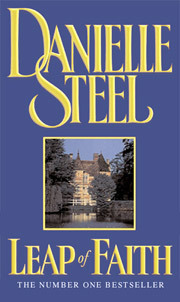 Sophie will help you.” The old woman in the frayed black dress and clean apron followed Marie-Ange out of the kitchen, and upstairs to her room on the top floor of the chateau. It wasn’t easy for her to get around anymore, but she would have gone to the ends of the earth for her “baby.” She had cared for Robert when he was born, and had been overjoyed when Marie-Ange came as a surprise seven years later. She loved the entire Hawkins family as though they had been her children. She had a daughter of her own, but she lived in Normandy and they seldom saw each other. Sophie would never have admitted it, but she was far more devoted to the Hawkins children than she had ever been to her own daughter. And like Marie-Ange, she was sad that Robert was leaving them and going to study in Paris. But she knew it would be good for him, and she would see him when he came home for holidays and vacations. John had talked briefly about sending his son to the States to study for a year, but Francoise didn’t like the idea, and Robert himself had finally admitted that he didn’t want to go so far away. They were a close-knit family, and he had a vast number of friends in the region. Paris was far enough away for him, and like his mother, and sister, he was profoundly French, in spite of his American father. John was seated at the kitchen table by the time Marie-Ange came downstairs. Francoise had just poured him a glass of wine, and a smaller one for Robert. They drank wine at every meal, and sometimes they gave Marie-Ange a few drops in a glass of water. John had adapted easily and well to French customs. He had conducted his business in French for years, but spoke to his children in English so they would learn the language. And Robert was far more fluent than his sister. The conversation at lunch was as lively as usual. John and Robert spoke about business, while Francoise commented on various bits of local news, and made sure that Marie-Ange didn’t make a mess while she was eating. Although she was allowed to roam the fields, her education had been a formal one, and she had extremely good manners, when she chose to use them. “And you, little one, what have you done today?” her father asked her, tousling her curls with one hand, while Francoise served him a cup of strong, steaming filtered coffee. “She’s been stripping your orchards, Papa,” Robert said, laughing at her, and Marie-Ange looked from one to the other with amusement. “Robert says eating too many peaches will give me a stomachache, but it doesn’t,” she said proudly. “I’m going to visit the farm later,” she said, like a young queen planning to visit her subjects. Marie-Ange had never met anyone she didn’t like, nor anyone who found her less than enchanting. She was the proverbial golden child, and Robert especially loved her. Because of the seven-year gap in their age, there had never been any jealousy between them. “You’re going to have to go back to school soon,” her father reminded her. “The vacation is almost over.” But the reminder made Marie-Ange frown. She knew that it meant Robert would be leaving, and when the time came, they all knew it would be hard for her, and for him as well, although he was excited by the adventure of living in Paris. They had found him a small apartment on the Left Bank, and his mother was going to settle him in before they left him to his studies. She had already sent several pieces of furniture and trunks ahead, all of which were waiting for him in Paris. When the big day finally came for Robert to leave, Marie-Ange got out of bed at dawn and was hiding in the orchard when Robert came looking for her before breakfast. 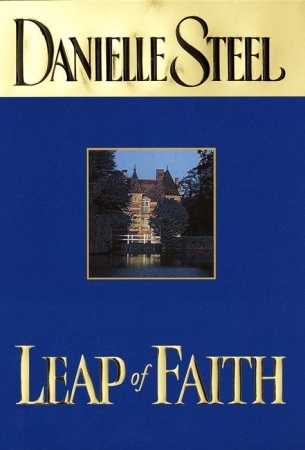 Excerpted from Leap of Faith by Danielle Steel Copyright © 2002 by Danielle Steel. Excerpted by permission of Dell, a division of Random House, Inc. All rights reserved. No part of this excerpt may be reproduced or reprinted without permission in writing from the publisher.